The Zody chair was designed by Michael Welsh of Haworth Design studio which is Michigan based and the German firm ITO. This chair is award winning and it’s been endorses by the American Physical Therapy Association. It features a passive pelvic support and an asymmetrical lumbar support system. This ergonomic chair was developed in collaboration with the Human Performance Institute at the University of Western Michigan. This is the first chair to get the Cradle to Cradle gold certification as it has a high level of recycled materials in its design. You can also adjust the four arm rests on the chair in different directions and the chair has a starting price of $803.00. This chair is a very good ergonomic chair for a number of reasons. This is a high-end office style chair and it has a medium price tag. If you buy in bulk you can get discounts on the chair. For the average consumer wanting on in the home it’s a big expense but one we feel is well worth the price tag. 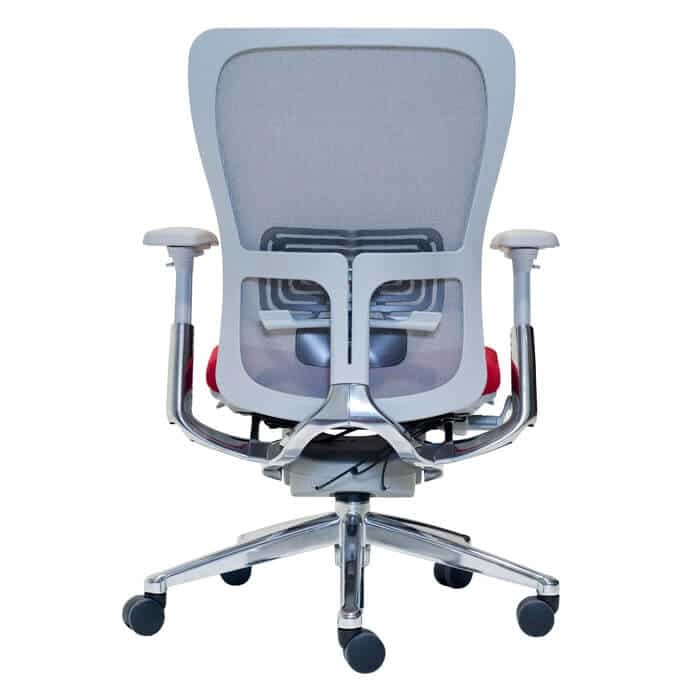 For the business environment the Zody chair is recommended. A chair that is full-loaded will run about $900.00 dollars but despite the price you are getting excellent value for your money. We spend money on other products such as televisions but your spine is more important so a $900.00 chair is well worth the price because it’s something you’ll use every day and it can save you the pain of dealing with a sore back which makes you less productive and forces you to take sick days. For those that want the basic there’s a base model that starts at a very reasonable $600.00. With this chair there’s no lumbar adjustment, armrests, or a forward tilt option but the chair is still very comfortable to sit in. when buying your chair you’ll be able to mix options and get chairs that are designed according to what your individual needs are. You get a unique lumbar support with his chair. 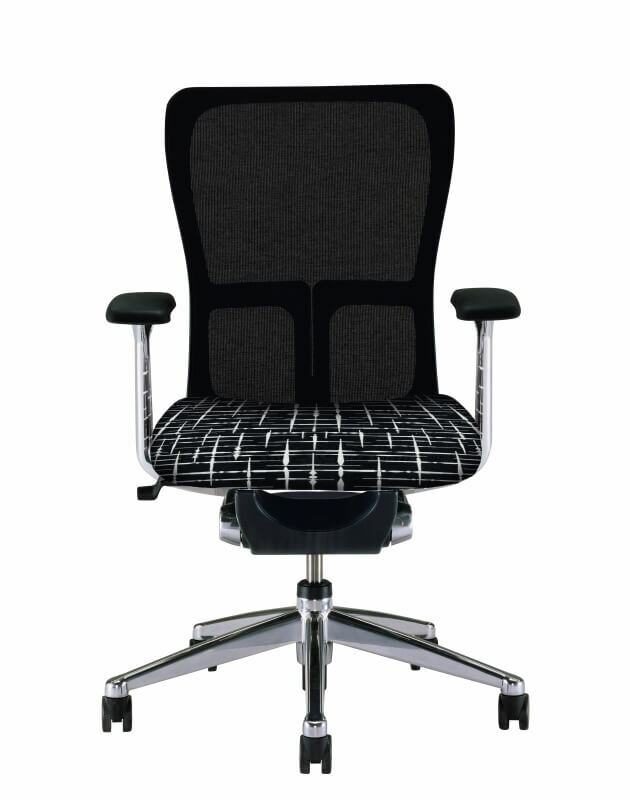 The mesh back rest is designed so there are different levels of tension. This tension helps your entire spine when you sit in this chair. 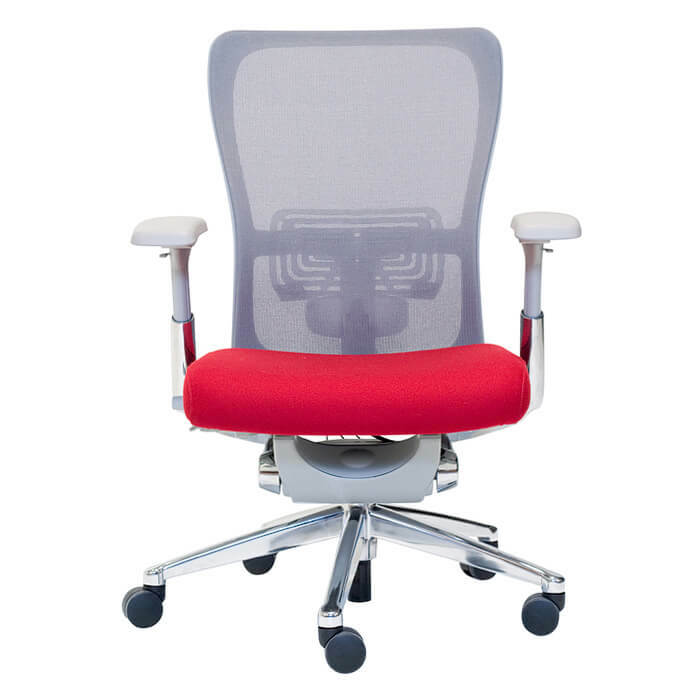 The different areas of the mesh in the back of this chair will allow your back to rest more so you don’t get as tired. The mesh provides you with comfort. For those that have had back issues, there’s a precise lumbar support system. This system comes on the loaded Haworth model. 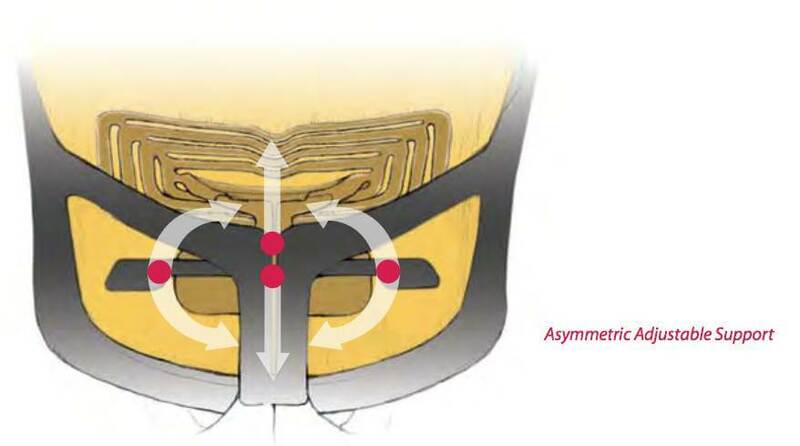 This PAL lumbar system has a pelvic support pad that is positioned low on the back of the chair. When you stand up your low back will curve and your hips tend to tilt a bit forward. When you’re sitting the hips tilt backwards and this causes the lumbar spine to curve which cases strain on your back. The support pad in this chair helps your lumbar area keep its natural curve. If you need more support on your right side but not your left you can turn the tension on the support to your right. If you need more support of the left just do that on the opposite side. The tension in the pad can accommodate various needs when it comes to back support. 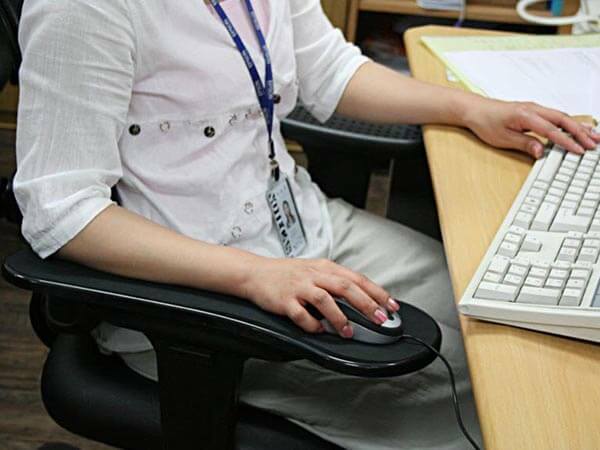 These arm adjustments help to accommodate both makes and females who need various lengths of armrests. The Zody chair has great armrests so you won’t get any shoulder or arm strain issues. You can experiment with the various adjustments in the armrests to find something that is comfortable for you and get the arms just the way you like them. 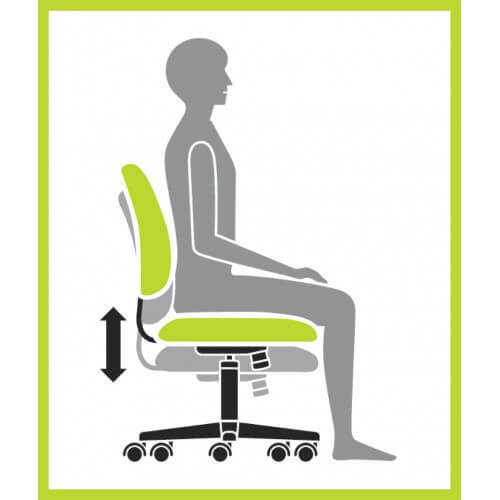 You can adjust the rest to the lengths of your arms so you can sit properly at your desk. This is ideal as men and women have different arm lengths and since you can adjust the rests there’s a greater comfort when sitting. A common feature on most office chairs is a forward tilt. Even though this is a common feature there are many chairs that still don’t have this feature. This feature is a part of the Zody chair and it’s great for women who find that the back portion of the chair is away from their back some when they sit in an upright position. The tilt features able to correct the gap that women experience in their back so they have more comfort. 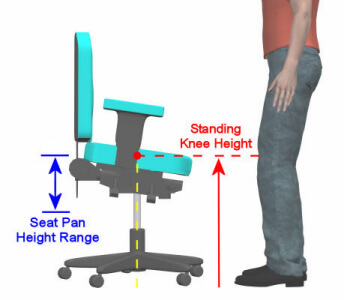 The tilt also corrects elbow height in relation to the desk so you’re able to sit higher in the chair. This feature makes it ideal for a large office where you need comfort to sit for long periods in one position. The forward tilt is accessible by a simple lever. The chair has some flex to it with the passive torsion flex. If you reach for a file the backrest of the chair will flex with you. If you lean to one side the upper back with flex with you. This Zody chair has a tilt tension crank. Some chairs have this tension under the chair by the pedestal but this is hard to reach. The Zody chair makes this even easier by having a crank handle that is very easy to use. This chair has good size and its deep enough and features enough width to provide you with excellent comfort. If you work in a larger office you really can’t go wrong with this Zody chair. You will want to get fully-loaded chairs for all your employees. This will ensure that you have a chair type to meet the needs of each of your employees. The extra features in the chair can make a big difference and if your employees are comfortable they will work better and take less time off due to injuries. 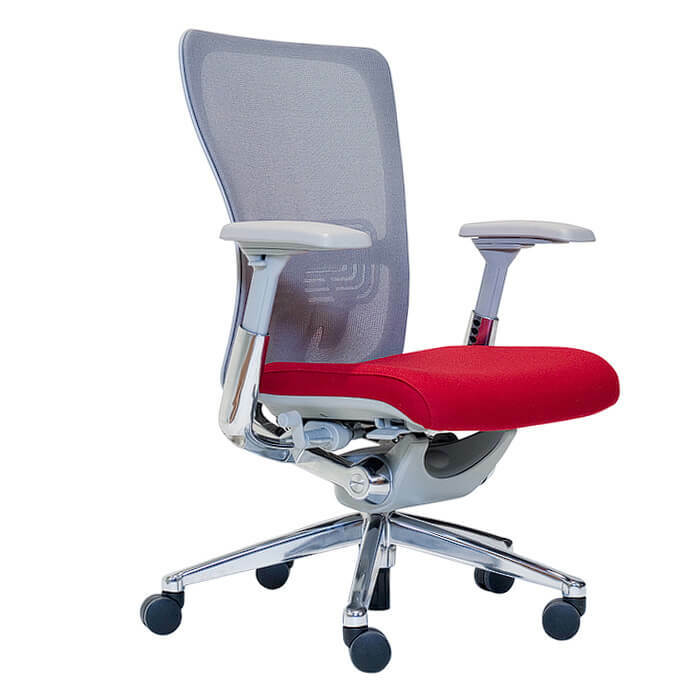 This chair has the features that make it a great chair to buy for the office environment. You will be impressed at how comfortable you will feel in this chair even after sitting in it for a long period. For the conference room you can go with a basic model. 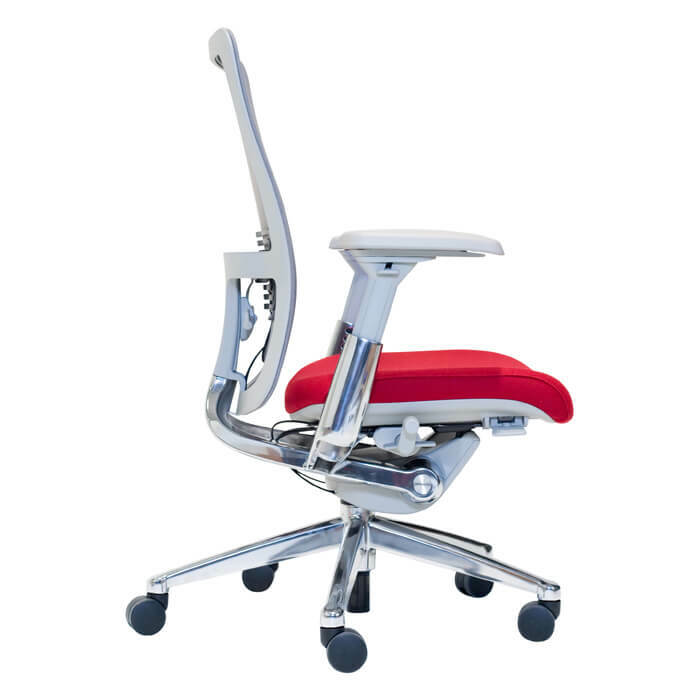 Extra options such as forward tilt aren’t needed and you can probably ditch the PAL lumbar support as well. Armrests are fine but you might want to go without armrest too it’s really your decision. Just remember that the more options you add the more your chairs are going to cost you. For average males you can look into the height adjustable version for the armrests. The forward tilt option might not be needed but you’ll probably want the lumbar support system for your chair. This really is your decision and you can buy whatever chair you want to meet your needs. The beauty of the Zody chair is that you have those options to work with. The chair has equally as many adjustments and features for women too to accommodate their smaller sizes. Woman for the most part will want chairs that are fully loaded and the armrests and forward tilt features allow for the best comfort. Like most chairs there’s a need to experiment with the adjustments to get the chair to fit you in just the way that you want. 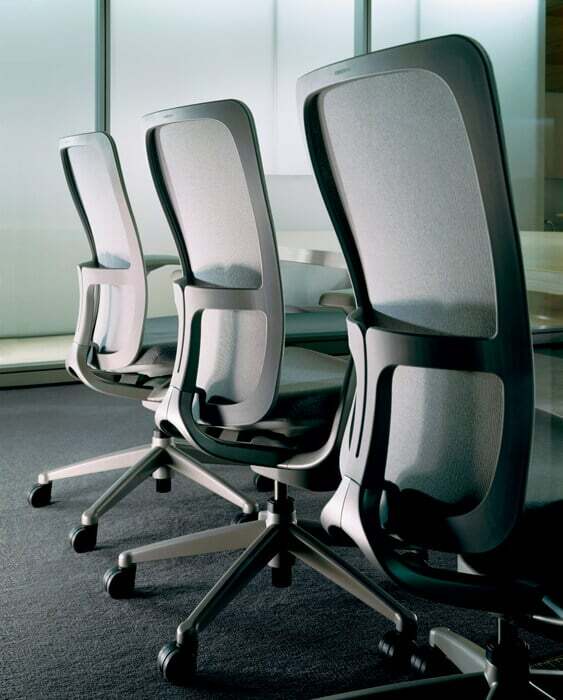 With the executive chair you can go with a fully-loaded chair and get all the extras you want. Aluminum trim and leather are extras you should think about. The Zody chair is perfect for the executive who need a comfortable chair for their personal office. Since the chair has many adjustments that can be made to it, executives will enjoy his chair and get a lot of use out of it. With this ergonomic chair you’ll get a lifetime warranty on your labor and parts. The seat mechanism has a warranty of 10 years along with the casters. Be sure that you buy your chairs from certified Haworth Dealers. Don’t make the mistake of buying form cheaper suppliers who aren’t certified to sell he chair as you won’t be covered by the warranty. If you buy from a dealer that isn’t certified and something breaks right away you haven’t saved nay money and you will have just wasted it so make sure you buy from certified dealers as this will eliminate all your headaches. If you aren’t concerned about repairs and just want to save money then go with dealers who aren’t certified but this is a decision you’ll have to make on your own. The Zody chair is a very eco-friendly chair for a number of reasons. Here are some of the features and certifications that this chair has. Cradle to Cradle Gold Certified – This means the chair is certified in five categories according to the manufacturing and materials in the chair. These categories are renewable energy use, material health, social responsibility, water stewardship, and material re-utilization. The chair is made with steel and aluminum and its 98% recyclable. Once you’re down with it you can even send it back to Haworth for recycling. The chair can be taken apart in 15 minutes and parts can be reused or recycled. The chair was assembled with 100% use of wind power. This ergonomic chair has received several awards which make it a good buy. The Zody chair has been endorsed by the American Physical Therapy Association. In 2005 Zody won the silver level award from the Best of Neocon and they received the Gold IIDEX from Neocon Canada in the same year. In 2005 Zody got the GOOD DESIGN Award from the Athenaeum Museum of Architecture and Design. This chair has something for everyone and it’s perfect for both males and females. No chair can be 100% perfect but this chair comes very close to it. It has a great list of features and you can use it for many applications such as home, office, the boardroom or the executive’s office. You can adjust this chair in different ways so it fits each person in the right way. The chair is long lasting, attractive, and it also features good back support. This chair is one of the better high-end chairs you can buy and it also has a great set of environmentally sound features which make sit perfect for those that have concerns about our environment. After looking at all the features we can honestly say that the Zody chair is a great chair to own and even though it does have a large price tag this can be reduced if you buy the chair in quantity for your office environment. The warranty of this chair is exceptional and you will get a lot of use out of this chair. The Zody chair is a recommended product.